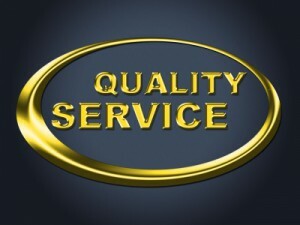 Mansfield, we provide you with QUALITY brake service! Service. It’s what makes or breaks a company. Mansfield business owners understand this very well! We all know this truth: service is what sets a company apart from all its competition. If one provides poor service, that company earns the reputation as the business to be avoided in town. However, if a company makes it their mission to provide the best service in town, they earn the reputation of being the best choice in town! We feel honored to have been voted the Best in Auto Repair here in Mansfield, 2 years straight! When it comes to brake service, that’s exactly what we do! We make it our mission to provide you, and everyone in Mansfield, with the best brake service possible! With five service bays and a team of ASE certified mechanics, we can assess the condition of your brake pads, discs (rotors) and calipers. We offer a full line of diagnostics to determine what brake service your vehicle needs. After you’ve received the results of these tests, then and only then, will we perform the necessary brake service(s). Keep in mind, whether you work or live in Mansfield, we provide free, local shuttle service. Or, if you prefer, we can bring your vehicle to you once the repairs or services have been completed. Whatever you choose, one thing is certain. Don’t delay. We want to make sure your vehicle is safe. Call us today!